Do you want a delicious fish-based dish? 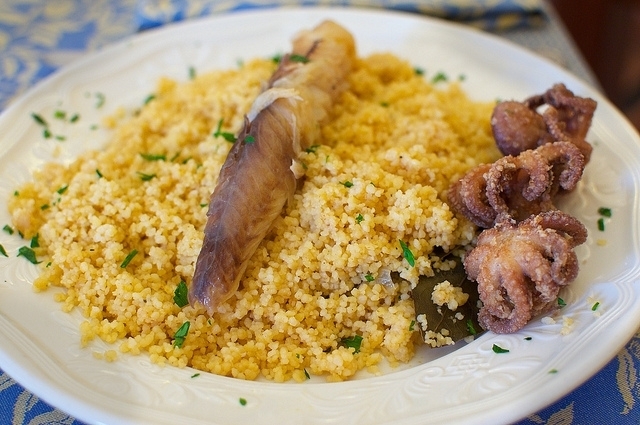 Do not miss these two recipes for couscous with fish, a healthy alternative to enjoy on family meals and an excellent source of omega 3. In a bowl, mix the couscous, turmeric and cumin. Fill with hot water and cover for 10 minutes. In a pan, fry 2 chopped garlic cloves and chili into thin slices. Add seafood and tomato and cover for 5 minutes to cook over high heat. Rip the couscous with a fork. Put on a plate and place the seafood over it. Sprinkle some chopped parsley and pour a drizzle of extra virgin olive oil. To accompany this dish, you can choose a white wine from the Rias Baixas, light and fresh. Terras Gauda 2014: a white wine with this DO: Rias Baixas with the best bunches of caiño and loureiro from the 2014 vintage and has a volume of alcohol of 12º. In a hot pan, fry in olive oil the garlic and onion chopped into small pieces. When brown, add the diced carrot and fish. Add the peeled tomatoes previously reduced to purée and celery chopped into small pieces. Season with salt, pepper and paprika powder. Add to 1 litre of water to the sauce. When the ingredients are tender strain them finely and remove the fish bones. Reserve the broth aside. In a separate pan, fry a clove of garlic in olive oil and add the white fish. When sautéed, add some white wine and salt to taste. When the alcohol evaporates, add two tablespoons of the broth and cover it again. Stir and remove from heat when ready. Heat in a pot the necessary amount of broth to prepare the couscous according to directions on the box. Add the couscous for the time indicated. Remove and serve on plates, garnish with some vegetables and fish. A smooth and exquisite rosé from the Provence will further highlight the flavour of this tasty dish. 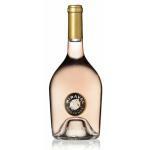 Miraval Rosé 2014: a rosé wine from the Côtes De Provence DO based on the best of cinsault and syrah from 2014 and with an alcoholic strength of 13º.